The tomb of the first Earl of Greta should have lain undisturbed on its island of bones for three hundred years. When idle curiosity opens the stone lid, however, inside is one body too many. Gabriel Crowther’s family bought the Gretas’ land long ago, and has suffered its own bloody history. His brother was hanged for murdering their father, the Baron of Keswick, and Crowther has chosen comfortable seclusion and anonymity over estate and title for thirty years. But the call of mystery brings him home at last. Travelling with forthright Mrs Harriet Westerman, who is escaping her own tragedy, Crowther finds a little town caught between new horrors and old, where ancient ways challenge modern justice. And against the wild and beautiful backdrop of fells and water, Crowther discovers that the past will not stay buried. 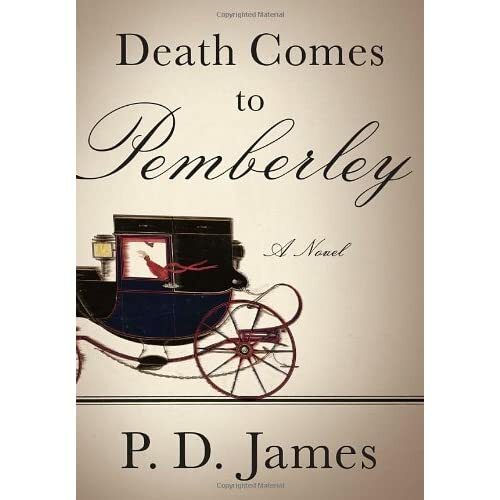 In a rare meeting of literary genius: P. D. James, long among the most admired mystery writers of our time, draws the characters of Jane Austen’s beloved novel Pride and Prejudice into a tale of murder and emotional mayhem.